Hello, I’m Brent Cilley, the owner and manager of Brent’s Irrigation Repair. We have been servicing the Phoenix West Valley for over 30 years! At Brent’s we are dedicated to providing exceptional quality work and outstanding customer service. We know you have many options, but rest assured you won’t make the wrong choice with Brent’s Irrigation Repair. Our customers love our excellent customer service, quality care and competitive prices. That's why so many have been with us for years! 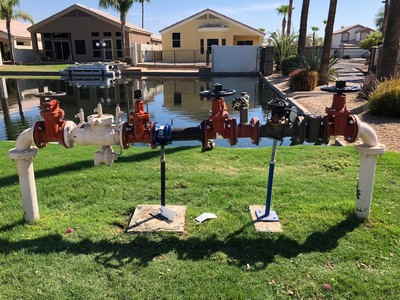 Shutoff valve replacementBrent’s Landscaping Maintenance are experts in both landscaping, landscaping maintenance, as well as all areas of landscaping irrigation issues including a superior sprinkler repair service. 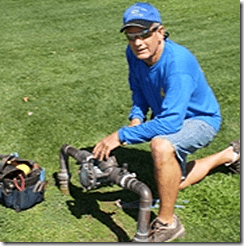 Our elite team of professionals can meet all your commercial and residential irrigation repair needs. We're experts at general landscape maintenance which will ensure your property is kept clean, tidy and neat all year round. Regular maintenance also helps us identify potential problems before they occur and get on top of them before they cause real issues. When you want to take you landscape design to the next level, think lighting! It adds mood and ambience to your property and can make a real statement. We know landscape lighting, and would be happy to discuss a plan of action to take your property from great to WOW!